An Kingfar medium suction cup with a strong bulldog style clip gives a professional look with reliability as it will not yellow or go brittle over time. These 45mm crystal clear suction cups have a clip which opens up to a maximum gap of approx. 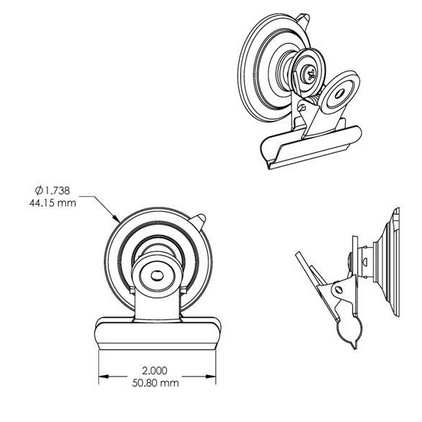 23mm and the Kingfar suction cup is rated to hold 3 pounds (1.36 kgs) in weight. 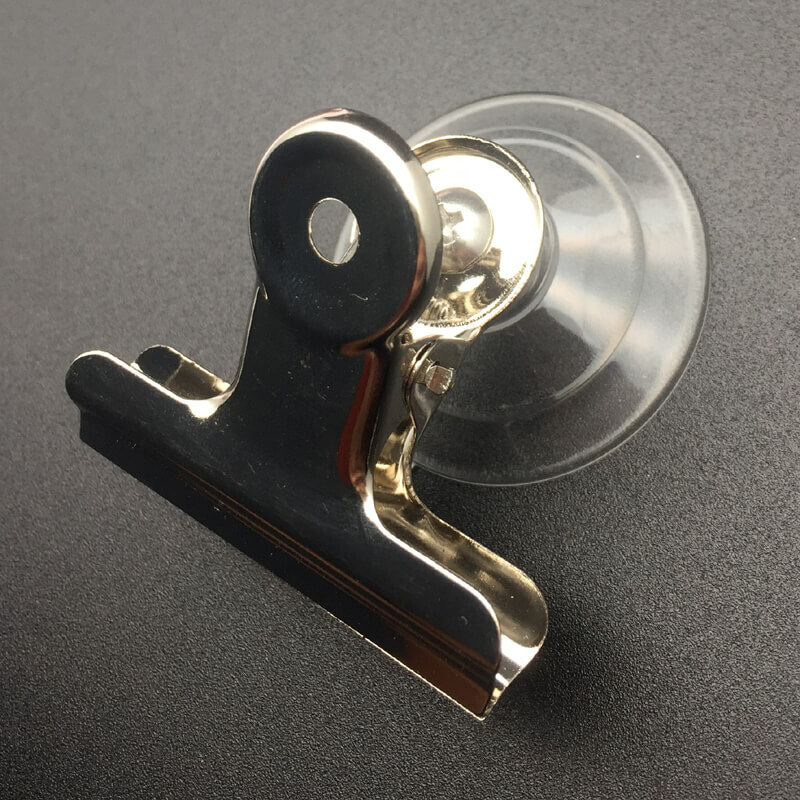 A suction cup with bulldog style clip is useful in the office, on a fridge door or inside a car, van or truck window for delivery drivers. We also sell these items regularly to restaurants. Apply suction cups to clean, dry, slick or shiny non porous, non textured surfaces like glass, mirrors, glazed ceramic tiles, glossy plastic etc. Use the quick release tab to remove or re-position.